D2050-VE Network Radar Detector is a reliable and accurate radar which detects approaching trespassers on your premises and provides accurate incident notifications in all weather conditions around the clock.With 120 degrees horizontal detection coverage and up to 50 meter/164feet range, AXIS D2050-VE delivers exact position, angle of movement, and velocity of a moving object. Vandal protected and robust in outdoor environments, AXIS D2050-VE minimizes false alarms triggered by rain, snow, insects, or shadows. 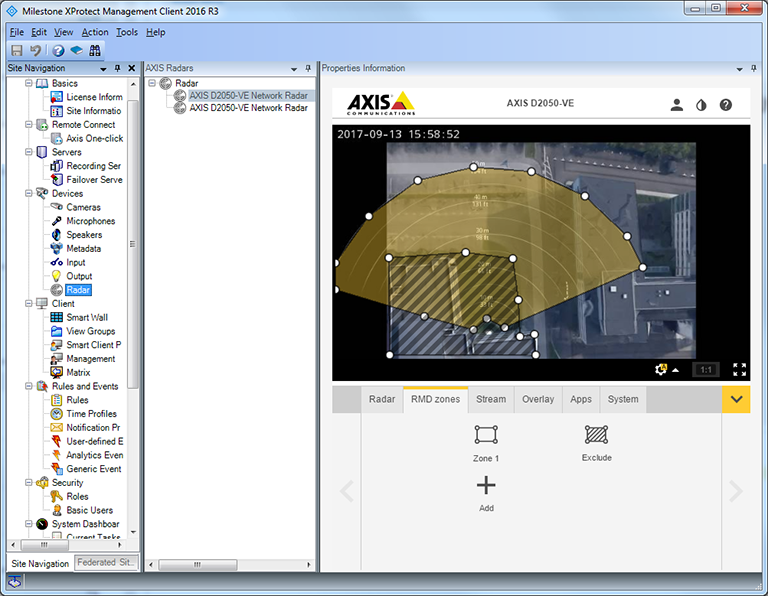 AXIS D2050-VE serves as a complement to video surveillance and enables filtering on distance, customizable detection zones, and AXIS Radar Auto tracking for PTZ cameras.